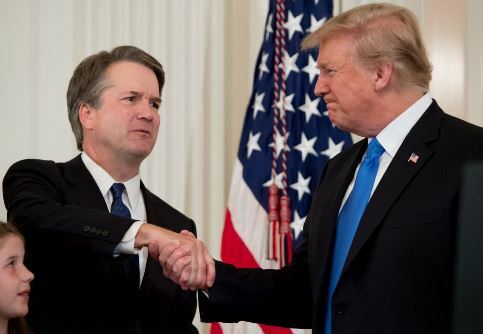 I’m kinda disappointed that President Trump nominated Brett Kavanaugh to the Supreme Court. He was the easy choice, the safe choice, the unexciting choice. And he is a bad choice but maybe not for the reasons you think. And definitely, certainly, decidedly NOT for the reasons the crazy, shrieking liberals are alleging. When Trump ran for Prez, he committed to a list of conservative judges he’d consider for the highest court in the land. And he’s kept that promise. Justice Gorsuch was a great pick. But, in him, we already have one Anthony Kennedy clerk. We don’t need another. Gorsuch will likely prove to be more conservative than Kennedy. But you cannot make the same bet on Bush establishmentarian Kavanaugh. When President George W. Bush comes out publicly in favor of something Trump does, you know it’s trouble. Trump has, thankfully, been the anti-Bush. But Kavanaugh comes from years in that disastrous Democrat-lite White House. NOT a good thing. There were many rumors before the nomination and, now, many stories since, that the Trump White House was in a yaar-long “negotiation” with Kennedy to convince him to retire. One of his points of insistence is that Kennedy get another of his clerks, and he insisted upon Kavanaugh. Why? Because Kavanaugh is actually a moderate judge, not the conservative “ghoul” the left is trying to create out of wholecloth. Which of Kennedy’s many horrible votes were influenced and decisions were written by Kavanaugh? The answer to that question is very important. And I’m not referring to the gay marriage decision. While many media reports have tried to paint Kennedy as conservative on all but a few “social issues” (notably gay marriage), Kennedy was in fact quite liberal on a lot of things–including whether or not to expand Islamic terrorists’ rights, even when they are not on our shores. He voted the wrong way on rights for terrorist detainees at Gitmo, on affirmative action (which we all know is flat-out racism practiced under a more glamorous name), on the death penalty, and so on. (For the record, as an attorney who has done a lot of criminal defense work, I oppose the death penalty in most cases, except those of terrorists and the most egregious murders–like the case of the men who forced a Connecticut doctor watch them slaughter his wife and daughters. But supporting the death penalty is a conservative position.) Which of these Kennedy votes and/or decisions were influenced or written, respectively, by Kavanaugh? Affirmative action is the enemy of merit and achievement. It is improperly-legalized racism, bigotry, and discrimination. How will Kavanaugh rule when an affirmative action case comes before the Supreme Court and finally provides the chance for the court to reverse decades of error-filled decisions allowing White males to be passed over in favor of less qualified others? And then there are rights for terrorist detainees. We really don’t need a John McCain-style Supreme Court Justice like Kennedy, who decided in favor of rights for these terrorist killers. But we might get one. In Boumediene v. Bush, Kennedy wrote the majority decision that extended Constitutional protections to Gitmo detainees who were not U.S. citizens and never set foot on our shores. 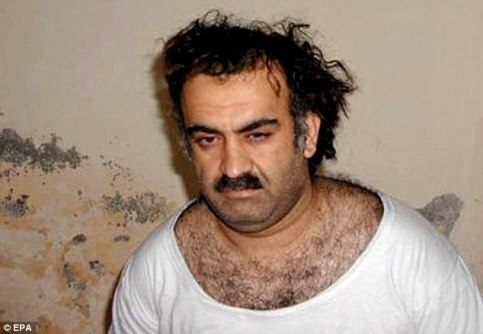 The decision allowed ACLU and SPLC lawyers to help terrorist challenge their detentions at Gitmo. This is a liberal–a very liberal–position. And it was a dangerous position. It continues to be. They are at war with us, whether we admit is or not. We don’t need another Justice who will help aid and comfort the enemy. And these are just some of the very disturbing Kennedy votes and decisions that come to my mind. There are many others. Will Kavanaugh be that much different? I sure hope so, but the signs aren’t there. Even the very liberal Five-ThirtyEight, while trying to portray Kennedy as a “conservative,” found that Kennedy voted for conservative decisions only 56.3% of the time. That’s not very good. Do you really want a Justice who votes with liberals 43.7% of the time. That’s not exactly anything to write home about. (Even newly-minted Marxist nutjob Sandra Day O’Connor voted with conservatives 59.7% of the time.) Will this Kennedy protege–the man whose appointment Kennedy reportedly insisted upon as a condition of retirement–vote with the liberals less than 44% of the time? Let’s hope that’s not the basic benchmark of the way he is judged by us. I heard somebody say that any Trump pick is far better than any Hillary pick would be. Well, yes. But we should expect far better than “better than Hillary’s pick.” This is about, as the media says, setting the direction of the court (and it’s agenda–the justices vote on which cases they will even hear and consider) for decades. Maybe, maybe not (if Kavanaugh is a Kennedy clone . . . or “Klone”). I hope I’m wrong about all of this. But Kennedy’s history and his partiality to the hiring of Kavanaugh as a condition of his exit, are scary hints that the shrieking liberal crazy chicks may be shrieking about nothing (as they usually are). And that we will have more of the same. Except I’m hearing from pundit NeverTrumpers that Kavanaugh is better than what Hillary would have given us too. So we are going to maintain 6 Catholics and 3 Jews on the Supreme Court. Where are the Justices that are NOT religious? This Supreme Court is as biased and one sided as it gets. Who speaks up for those who are not religious nuts? Please do not mention the Constitution. Every one of us could interpret it differently and who is to say we are wrong? My major concern is for individual rights which continue to be eroded, although finally the Court ruled that betting on sporting events could be legal based on individual State Laws. About time and only 100 years late. I concur Debbie. Anyone who has Dubya’s seal of approval is likely another swamp creature. Who would you pick to replace Justice Kennedy? I didn’t know Kavanaugh’s record & so I did NOT rejoice. I saw many so-called Conservatives taking other peeps word for it. Those who have been on his site for over a decade (like me!) should know better than to NOT do your homework. Or wait for a trusted source like DS. Bad Girl Ginsburg will be the next one gone, hopefully. Trouble is, our “Republicans” who have power now are wusses (Donk Lite). The Never Trump dopes fail to see Trump (no matter how much they hate him) gave us a 3rd Party candidate w/o the decades of 3rd Party losing and waiting to gain ground. One reason I like liking Trump. Why can’t they see that? The devil is always in the details and we here know Islam is a subject we must take seriously. And doing your homework lets one be privy to the TRUTH and not the lemming leap to misguided nonsense. In 2018, few are privy to the truth. It’s an ignorant time! I would say that Trump is a bit trapped here. The Republican Party barely controls the U.S. Senate. John McCain is AWOL. So, Trump can’t afford any Republican defections. The Democratic Party will for the most part vote as a bloc against any high level Trump nominee, so vote hunting there is not a realistic option. I would say that the Trump Administration is not making an optimal choice, but it might be its only realistic one if it wishes to avoid a crash and burn scenario. Ever notice that when conservative pundits have a problem with someone, for example in THIS case, they get the conservative reasons why the guy’s a problem, but . . .
they leave out the Halal reasons? Thank God for Debbie. How does a 53 year old making over 225k base salary plus lecture fees have next to none financial assets. Government employees do not have to worry about saving for retirement because of ridiculous pension system. This man is not conservative financially i.e save and invest. Larry the 3 Jewish judges are non religious. They have little interest in Israel. They all went along with 0Bama decision on Jerusalem Israel passport issue. Scalia opinion on the issue was great. A self respecting Jew would never serve a president who was a Lois Farrakhan apologist e.g Kagan. The blog post is interesting. The article explores Brett Kavanaugh: Will He Side with Terrorists like Kennedy Did? Other Disturbing Votes & Decisions. Voting is an important right that people have but citizens should use it ethically. You can know more the voting and the issues that are being discussed right through the article.